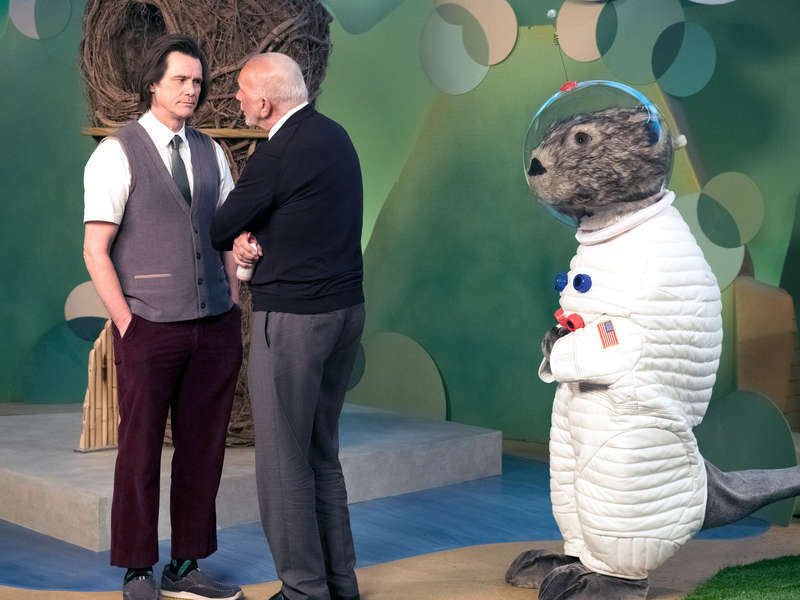 According to the show�s critical consensus on Rotten Tomatoes, �fans of Jim Carrey's slapstick may be disappointed, but other viewers may find a surprisingly poignant examination of life and grief in Kidding.� While true, it�s evident by the amount of viewers who checked out the first episode last week that we appreciated the show for allowing Jim to open up through a very personal and profound performance that transcends both comedy and drama. Now we have the second episode with a very wordy title that expands more of what the first episode already set up. The episode opens with a group of thieves stealing a car and bringing it back to their shop just to modify it. 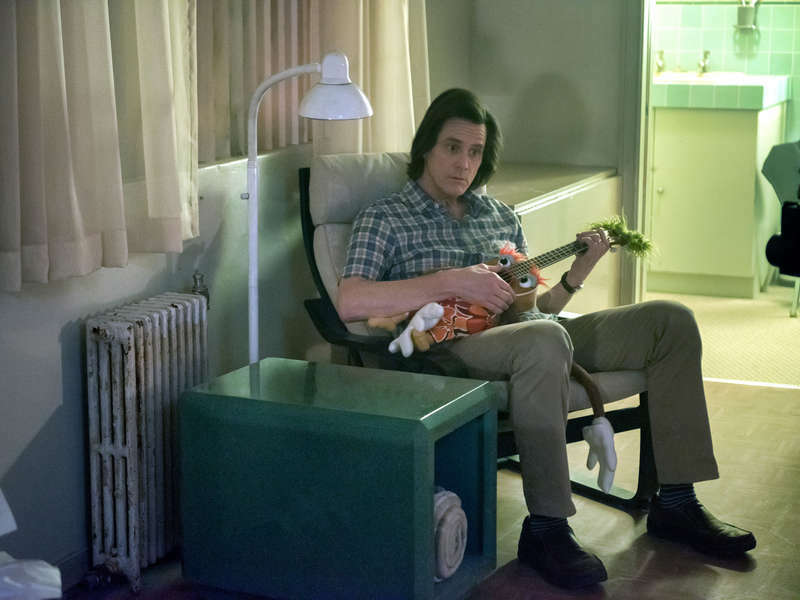 When one of them finds Uke-Larry in the trunk, they find out the car belongs to Mr. Pickles and decided to fix it back to its original condition before giving it back to Jeff. Afterwards, Jeff goes to the local hospital his wife Jill works as a nurse and cheers up a little boy whose about to be operated for brain cancer. Jill then lets him know she wants to make boundaries for the sake of her son Will and her new boyfriend Peter. But Jeff�s willing to meet the new man in his wife�s life and wants their son to visit him once a week. Upon returning to work, Jeff�s father Seb is shocked by to see the part of the top of his son�s head shaved off. Jeff�s reasoning behind it is to give the viewers a chance to understand about losing a part of one�s self and hopes to air the death segment. Seb then reminds him that his actions will cause the network to pull the plug on his show. While he gets an extra hairpiece from his hairdresser (played by In Living Color alum T�Keyah Crystal Keymah), Jeff lets his father know that he just moved in next door to Jill. Seb knows his son has to be crazy enough to do that while his wife is adjusting to a new life. Even Deirdre warns him that if they find out about it, they�ll likely move away. As he cooks his wife�s favorite blueberry sour cream pie, Jeff spies on her and Will actually having a lasagna dinner and being happy. He frustratingly walks back to his apartment not knowing that he left the stove on that even his realtor (another ILC alum Kelly Coffield Park) begins to notice at the episode�s end. Eventually, Jill reluctantly lets him in the next night for dinner to get to know Peter well. The two men then have a nice conversation about vices when Jeff sees Peter smoking a cigarette. Meanwhile, Deirdre takes her daughter Maddy to her piano lessons while she tries to figure out a way to confront her husband about his supposed sexuality and infidelity. Also, Will begins to hang out with the older kids more by ditching school and smoke some reefer with them. Plus in another need for change on the show, Jeff begins to refer Astro-Otter as a she for gender fluidity. Annoyed, Seb calls someone up for some help to save the show. What�s interesting about this episode is that it feels like a continuation from the previous episode. It isn�t just a new story, but a second chapter of a novel or movie that�ll feel like the complete story by the end of it. It�s one of those shows you can binge watch all day and not miss a single moment. There�s not much else to say about this episode other than Carrey once again delivering a terrific performance. Hopefully he�ll be recognized greatly for his efforts next year at both the Golden Globes and the Emmys. Also, things will get more interesting in the next episode.